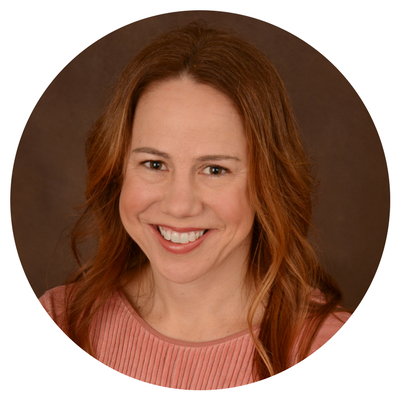 This fall and winter have been FULL of germs–from colds to respiratory viruses to the stomach bug– there has been no shortage of sickness in our family and the kids’ school! Kids are great at a lot of things, and sharing germs is just one of them. If you think about how many things they touch in the course of a school day, it can be scary! 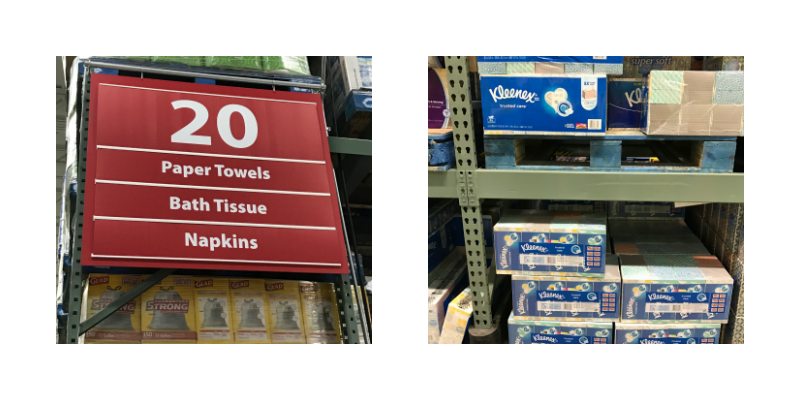 We headed to our local BJ’s Wholesale Club to grab some Kleenex® (look for the new Kleenex® – Finding Dory Tissue Box Designs!) and other supplies to make a classroom care kit for my two older sons. 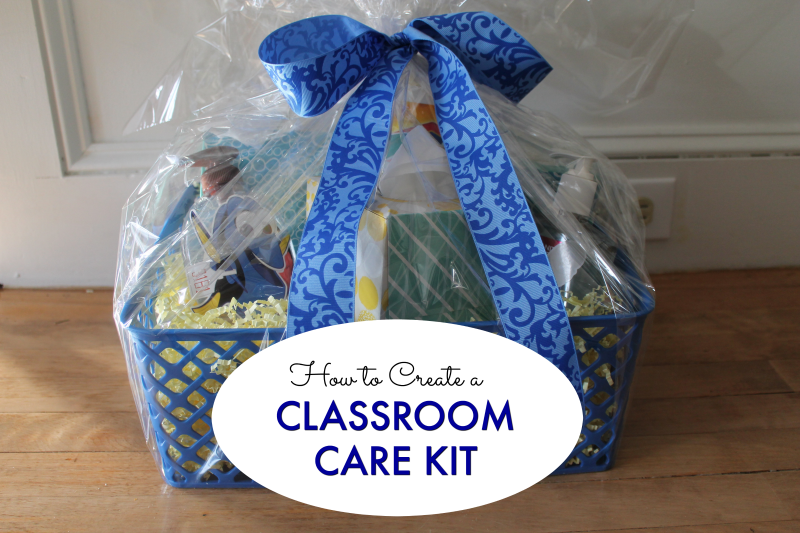 I wanted to send in a basket to help their teachers combat all of those classroom colds and germs! 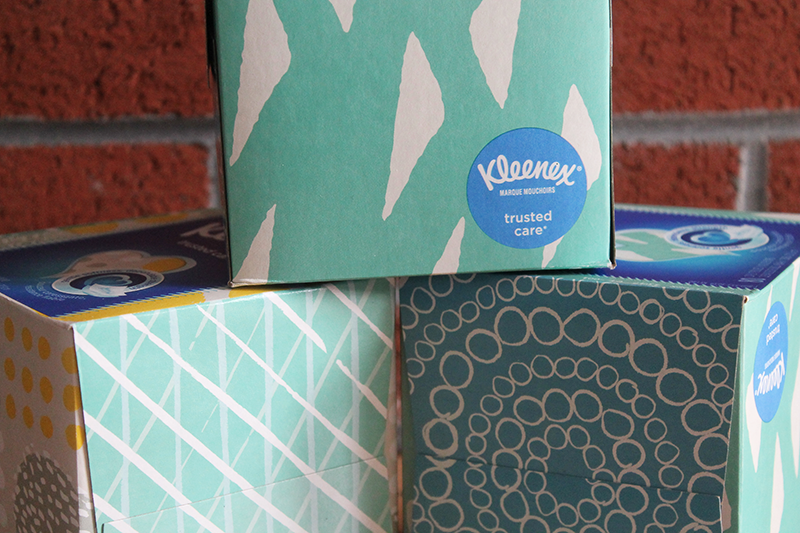 You can never have enough Kleenex®– especially during the cold winter months. They are soft, strong and absorbent–perfect for the delicate skins on little noses! They’re 2-ply, so they are strong enough to stand up to lots of sneezes and sniffles! Even better, there are now Kleenex® Finding Dory Tissue Box Designs! This winter, there are several times I’ve felt like Dory being quarantined at the Marine Life Institute– not able to leave the house for several days! 🙂 So if you’re in a quarantine from these seasonal germs, you can at least be nice to your nose with Kleenex right?! Shredded filler in your color of choice. 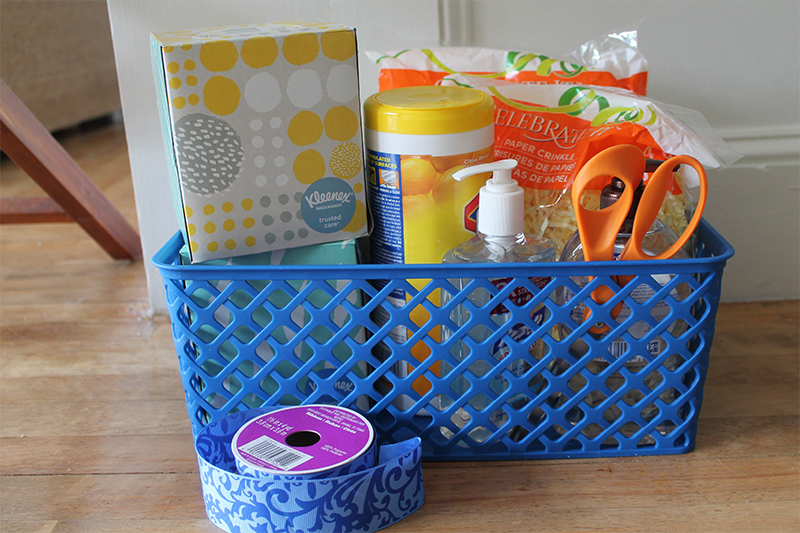 Plastic caddy or basket (that can be reused for storage in the classroom). 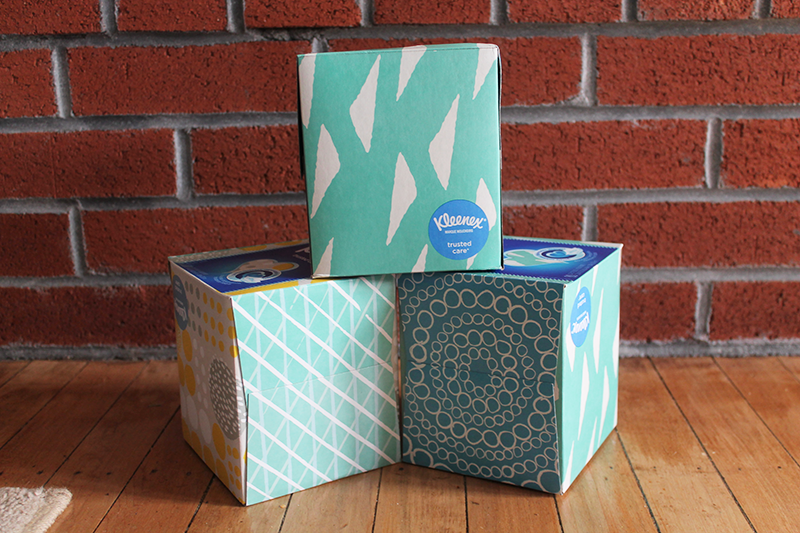 Kleenex® (2-3 boxes, depending on the size of your basket or container). Decorative ribbon in color of your choice. Spread the shredded filler along the bottom of the basket or container. Arrange the items in your container, with taller items in the back and shorter items in the front. 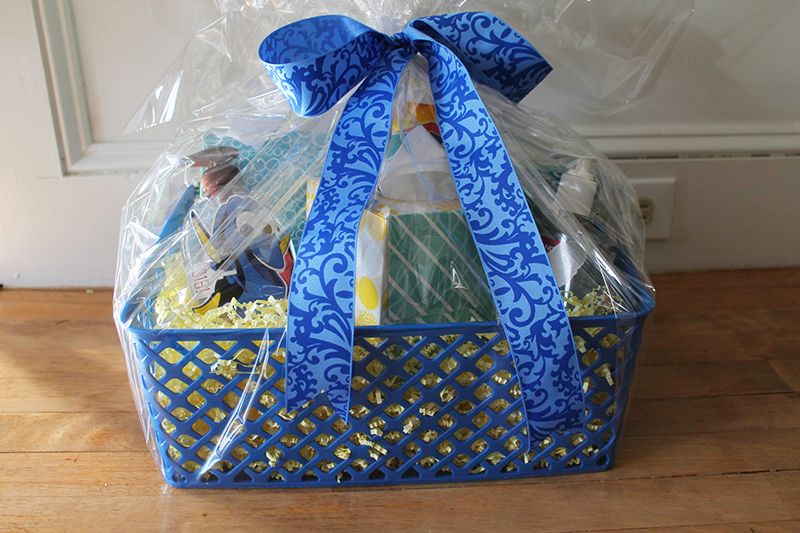 Unroll plastic cellophane and place the basket in the center. Cut plastic (always overestimate the length!) and tie at the top with decorative ribbon. If you’d like, you can attach a personal note to the ribbon by using a hole punch to make a small hole in the corner of your card. 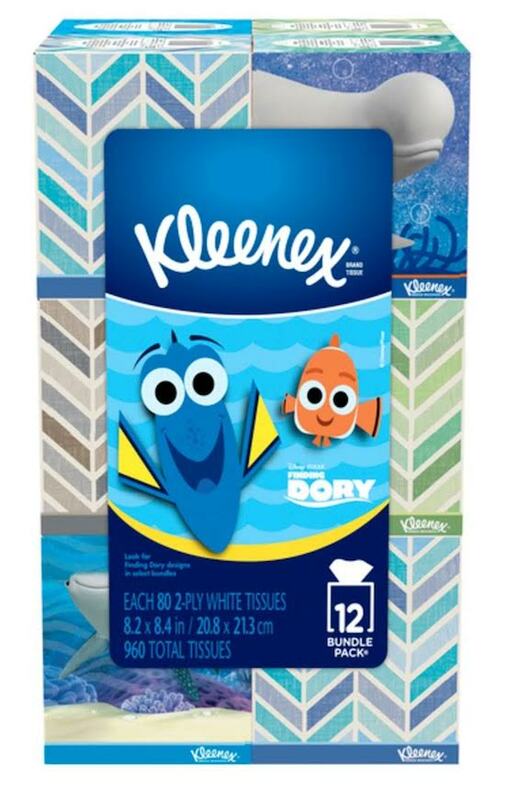 Head to BJ’s Wholesale Club to grab your Kleenex® – Finding Dory Tissue Box Designs and other classroom care items to help your kids and their teachers stay clean and comfortable this winter! Previous Post: « Blueberry Lemon Galette ~ The Easiest Dessert EVER!